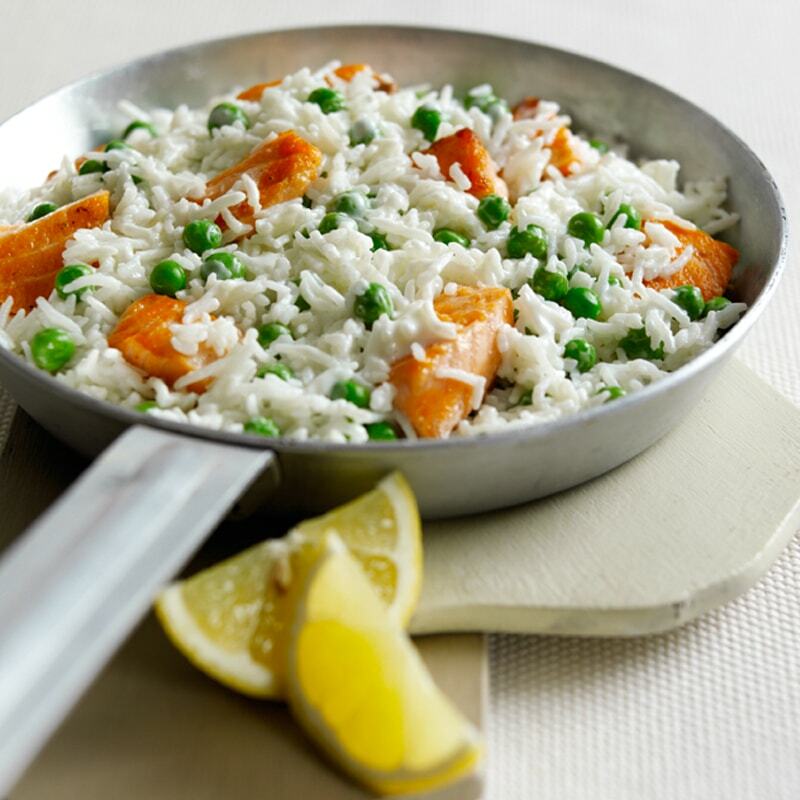 An easy way to make Salmon & Lemon Risotto by using VeeTee Heat and Eat rice! Cook risotto the cheat's way in just 25 minutes. Place the oil in a large, deep frying pan and gently sauté the garlic and shallots for 2-3 minutes. Add the wine and bubble for a further minute or so over a moderate heat. Add the salmon and cook, turning occasionally, for 3-4 minutes. Add the rice to the pan with the salmon. Cook over a moderate heat for a few minutes. 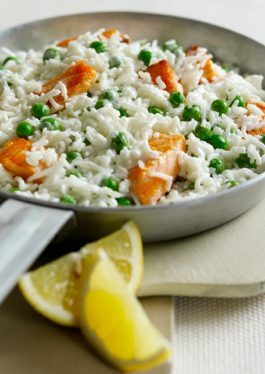 Cook the peas in boiling water for 2 minutes, drain then add to the pan with the rice and salmon. Stir in the crème fraîche and squeeze over the lemon juice, combine thoroughly and season to taste with black pepper. Serving suggestion: serve with fresh, crusty bread. Tips: Add a handful of freshly chopped parsley or basil to this dish if you have it. You could also add a handful of fresh, chopped tomatoes or change the peas for broccoli or spinach.